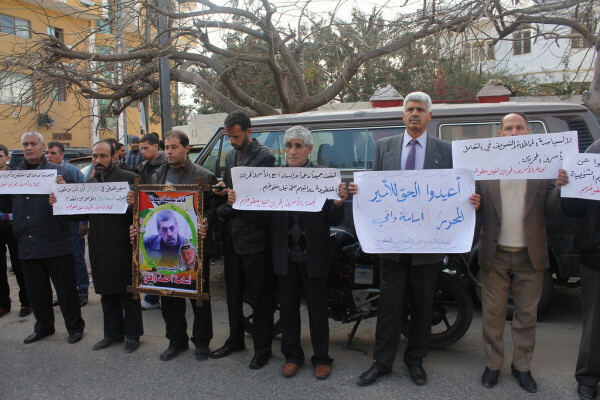 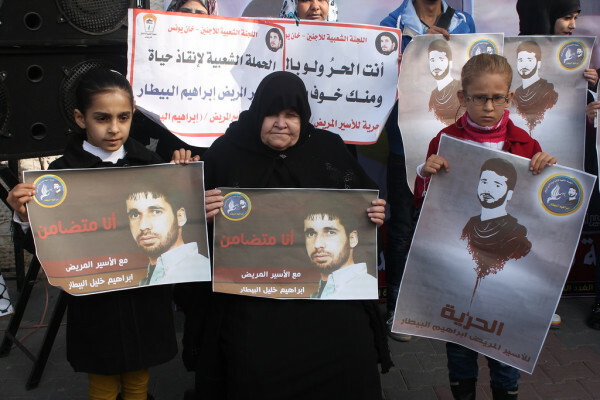 Dozens of Palestinians joined a rally organized by the Popular Campaign to Save the Life of the Captive Patient Ibrahim Bitar outside the International Committee of the Red Cross’ Gaza office this morning. 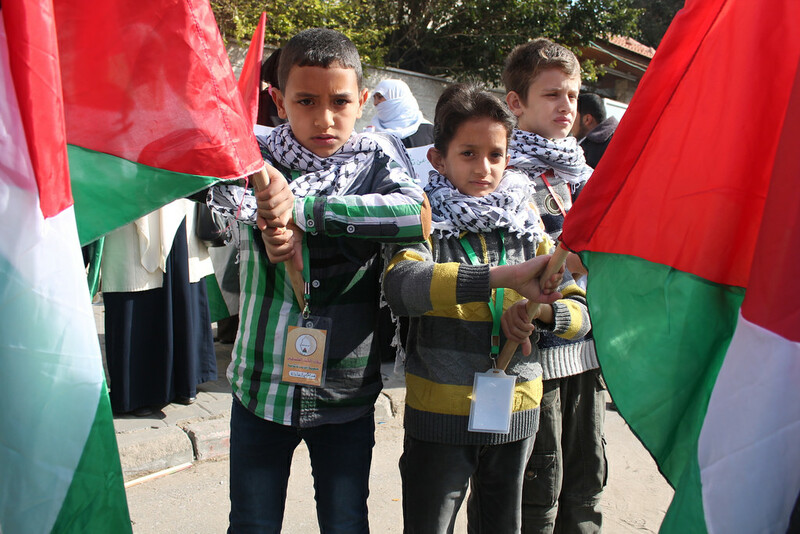 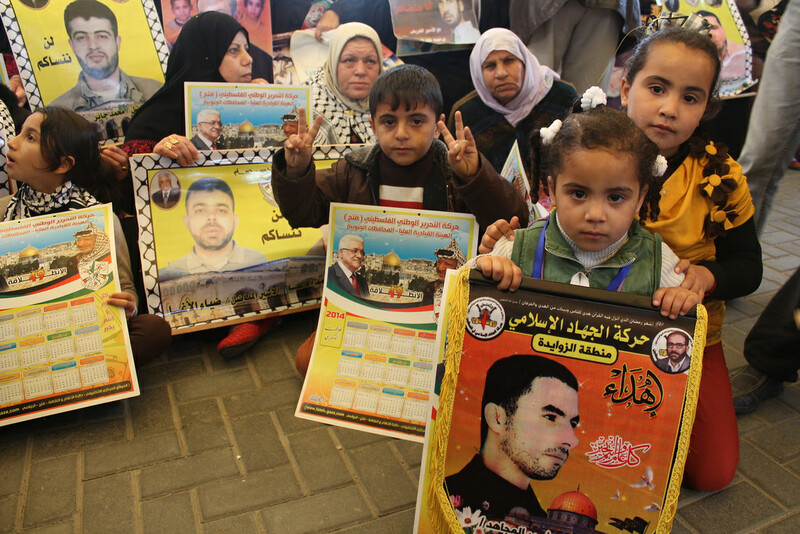 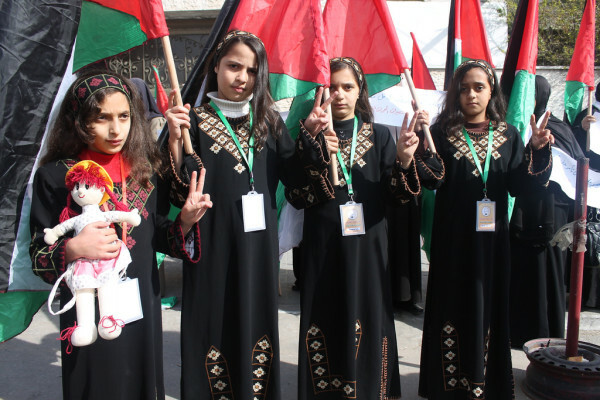 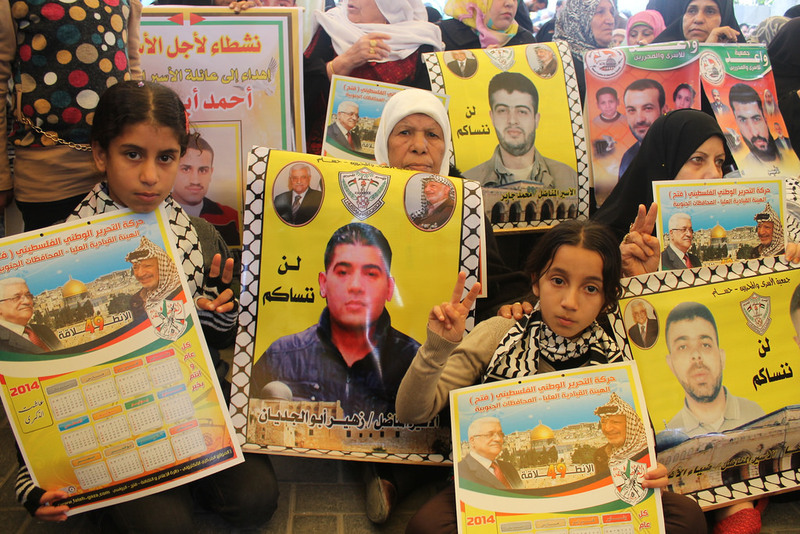 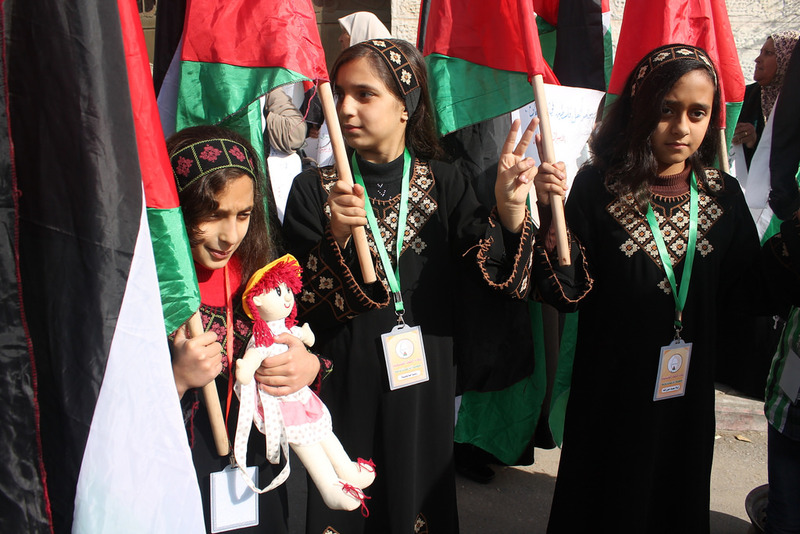 The gathering followed a weekly sit-in by families and supporters of Palestinian detainees that has been held in the ICRC courtyard every Monday morning since 1995. 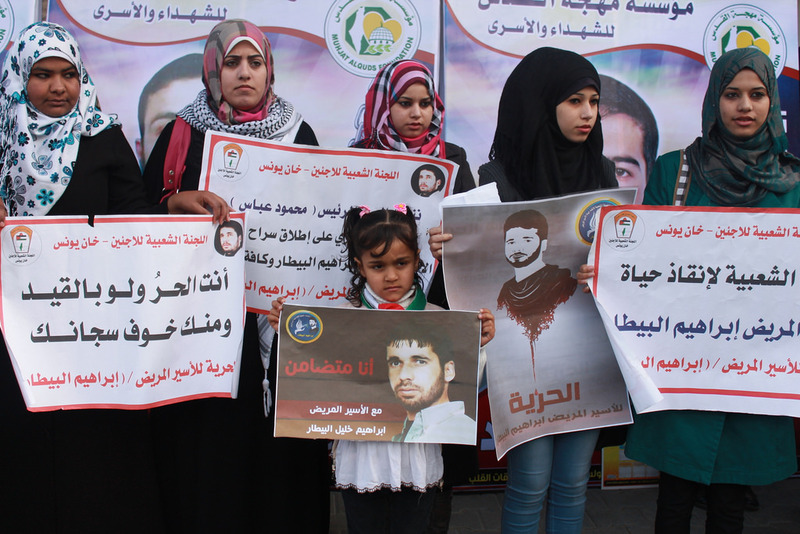 Bitar, a resident of Khan Younis in the Gaza Strip, has been sentenced by Israeli forces to 17 years and is held by them in Nafha prison. 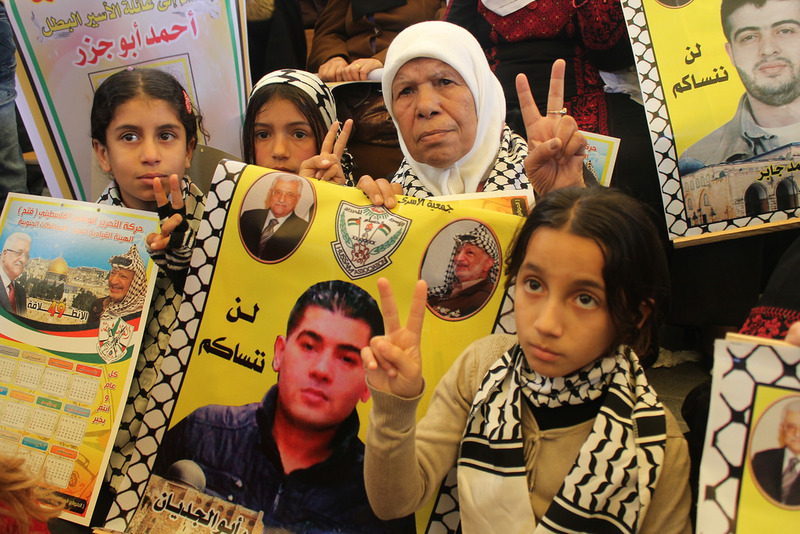 He has been diagnosed with blood disorders and leukemia, and recently underwent back surgery to remove a tumor, according to Samidoun: Palestinian Prisoner Solidarity Network. 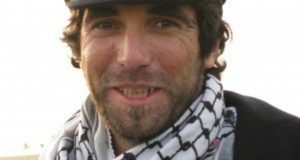 The Hussam Association, a Gaza-based society of current and former Palestinian detainees, reports that Israeli forces have prevented his family from visiting him for the past two months.